....is all it takes to create MS. Forget about requiring a rogue virus or some deranged auto immune reaction. You don't need to inject mouse brains with foreign antigens and create EAE. Just one bit of blood on brain tissue activates the immune system and creates MS demyelination. In the current study, published in Nature Communications, the scientists created a new animal model of disease to determine if BBB (blood-brain barrier) leakage can cause autoimmunity. They discovered that injecting just one drop of blood into the brain set off the brain's immune response, kick-starting a chain reaction that resulted in inflammation and myelin damage. Why didn't we know this before? Shouldn't we know this??? Well, we do. We see this reaction in stroke and vascular dementia in humans. And stroke specialists have published on the immune system response to blood in the brain. But MS specialists don't talk to other doctors, and they have chosen to stick to the EAE autoimmune mouse model--come hell or high water-- and consistently ignore the vascular evidence. Here's a blog post I wrote about the autoimmune response in stroke back in 2010. You'd think this idea of blood in brain tissue would have been tested by now, especially since we know that people with MS have microbleeds in their brains, as seen on 7T MRI. Dr. Yulin Ge discussed this at the 2014 ISNVD conference. People with MS have tiny, pinpoint bleeds in their brains, only seen on the most powerful MRIs. Blood is not supposed to breach the blood brain barrier. But for some reason, in MS, it does. In 2015 we finally have an actual animal model, created by the innovative Gladstone Institutes (go, Silicon Valley! ), demonstrating that injecting one single drop of blood into the brain begins an "immune response akin to MS."
Dr. Akassoglou's premise has been that fibrinogen causes neuronal damage to the MS brain. With this current study, Dr. Akasssoglou and her colleagues saw the actual result of this leakage--activation of the immune system. I would like to suggest that instead of rushing off to create the next MS drug bonanza--based on coagulation factors and blocking fibrinogen-- perhaps researchers would like to revisit MS disease etiology? Perhaps it is time to reconsider the vascular connection to MS? To study how altered venous hemodynamics might be affecting the endothelial wall of vessels, and creating permeability? Maybe we should figure out what is causing these microbleeds in the MS brain, and why fibrinogen is there in the first place? Want to cure MS? Let's discover the cause of MS. Here is Dr. Yulin Ge's description of tiny micro bleeds seen in MS brains in vivo, with 7T MRI. These pinpoint drops of blood precede demyelination. Dr. Mark Haacke's presentation on SWI technology and imaging the MS brain is also a good place to start. And this week, we learn that a single drop of blood in the brain can cause MS---just like the micro bleeding seen on MRI. We are in the midst of a huge paradigm shift in MS research. Here's the preliminary program for the 2016 ISNVD conference in NYC next April. Lots of discussion on microvasculature imaging in MS. And Dr. Yulin Ge, Dr. Mark Haacke and Dr. Paolo Zamboni will be presenting! The keynote speaker will be the scientist who discovered the brain's lymphatic vessels, Dr. Jonathan Kipnis. Please come, MS specialists and researchers---I guarantee you will learn something. Let's not let this moment pass us by. Get this research to your local universities. Tweet about it, share it in your community. Ask your MS Society to fund further research into the vascular connection. Support groups like the ISNVD. www.isnvd.org Educate yourself and others in the MS community. The vascular connection to MS is real. 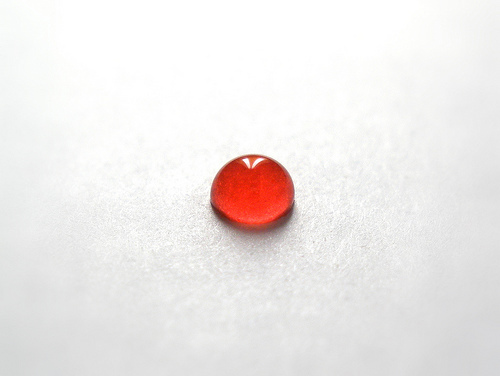 It's as real as a single drop of blood. Thank you Joan. I am so glad you are part of my fatigue free, life! This is an awesome write up and I do hope many share in order to turn the nay Sayers into believers ... finally. Thanks for the great information. 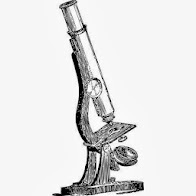 With the recent ms findings, ive recently joined the "vascular connection" camp (vs. autoimmune) and my wheels are spinning trying to put all the pieces of the puzzle together about how MS occurs and what our solutions are. Thank you for the link to the endothelial health site. I found this article and that site very well written, informative and helpful. I suspect that during sleep, while Horizontal, there is a Re-flux of De-Oxygenized blood towards my brain. My wife, our children, my family and neighboars noticed a Huge positive differende after ballooning with great positive results. CCSVI in combination with Chronic Hypoxia, Hypoxemia, Hypoperfusion, MÁY contribute to Cell-death and resulting in M.S. Very informative info like these segregated at one place is rare to find on net. A very focused and upto the point article. Very interesting! So....what about primary progressive MS? As we learn more about how thalmic atrophy (neuronal death in gray matter) is related to PPMS disease progression, it's important to understand that blood in brain tissue does not only cause white matter lesions, it causes oxidative stress and death of neurons. There's a very strong link.